When most people think of stress, they think of their jobs. 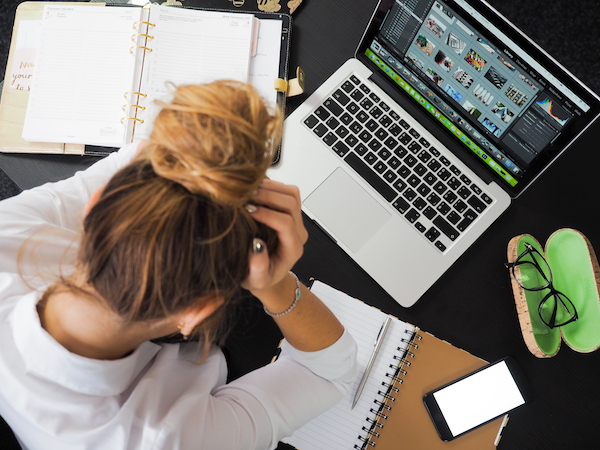 The workplace is the largest single source of stress in the average person’s life, likely because you spend so much time there and it impacts the rest of your life. While work is a necessity, there are some things that a person can do to reduce the amount of stress that they experience at work and feel more relaxed. One of the simplest things that a person can do to reduce stress is to take a break. Whether it is going outside to stretch for 15 minutes or taking a weeklong vacation at the beach, everyone needs to take the break time their employer offers. In fact, studies show that employees who take breaks are more productive than those who do not. Those who take breaks are more productive as they are more relaxed and better able to work steadily than those who sit continuously at their work site. A person may not be able to control the amount of stress they experience, but they can work to reduce the impact of that stress on their body. Regular exercise, preferably daily, can help to burn the stress that life provides. In addition, a healthy diet that features a mix of nutrients from every food group keeps the body energized to fight stress. Getting plenty of sleep at a regular time can also work to improve mental and physical health. Taking care of yourself is one of the best ways to manage stress. One of the largest causes of stress is feeling like there is not enough time to get everything done. However, the simple truth is that many times there is not enough time to do all the things that are needed. People need to learn say ‘no’ to tasks they cannot handle. Though it can be difficult, a person needs to set boundaries at work and at home. If a job constantly presents more work than can be completed, he or she needs to look for a new job. Dealing with stress often makes a person withdraw from others. However, staying in contact with others is a helpful way to deal with stress. Whether it is talking to a supervisor about a problem, having dinner with the family, or hitting the gym with a workout buddy, social connections are key to dealing with stress. Praying, meditating, and attending religious services also can serve as a calming influence for those who are dealing with large amounts of stress.